How many mobile devices do you have? How many times were they out of juice on your trips? If it happened often, Scosche goBAT II portable charger and backup battery may be helpful for you. 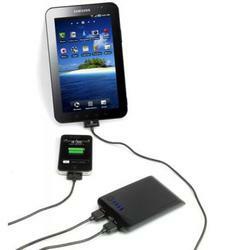 Scosche goBAT II is a portable charger that comes with built-in 5000mAh rechargeable battery. But unlike normal backup battery, goBAT II features four interfaces including two USB charging ports that can be used at the same time, a 2.1 Amp port for your iPad, Samsung Galaxy Tab, or other tablets, and a 1.0 Amp port for your iPhone and iPod. 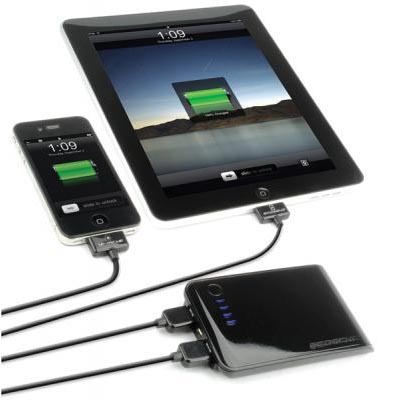 And the lithium-ion battery can recharge iPhone up to 3 times, iPhone 4 up to 2.6 times or up to 55% of iPad’s battery. Apart from that, the four blue LED lights let you know the status of the backup battery. 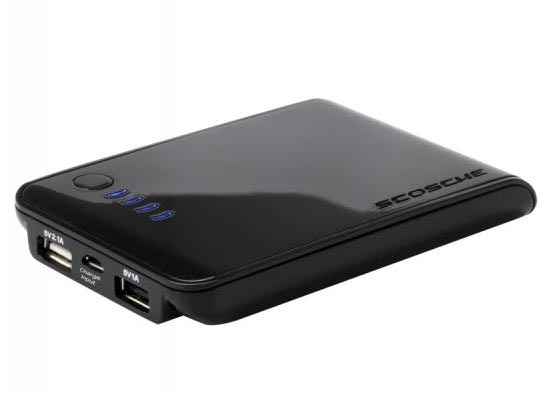 Scosche goBAT II portable charger and backup battery is priced at $89.99 USD. If you’re interested, jump to Scosche official site for more details. 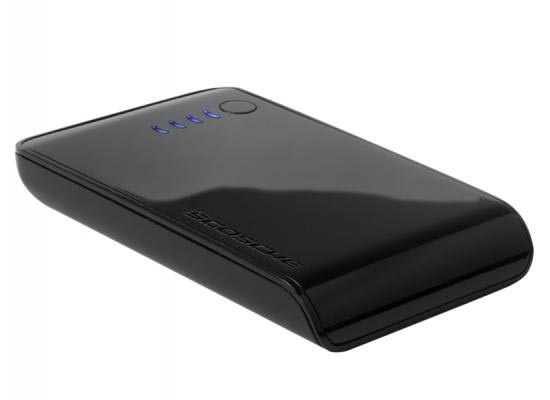 By the way, if you need more options, you might like to check the palm-size emergency charger, ZAGGsparq 2.0 portable charger, and more via “portable charger” tag.